Just an article I pulled over from one of my old and now obsolete blogs. A couple of days ago I bought an old book on a flea market close to where I live. Its title is “Unsere Veteranen” (Our Veterans) and was published by a chapter of the Reichskriegerbund (Reichs Warrior Association) in 1914. Most interestingly for me the chapter was a local one. The veterans that were members of it lived in my town and the towns and villages around it. The book itself is special. 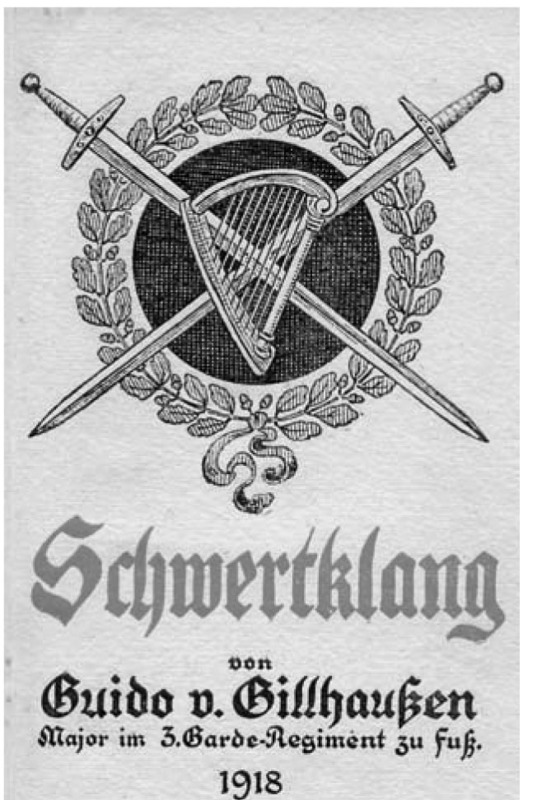 Privately published by an association member it was meant to commemorate the 25thanniversary of the Kriegerbund and contains the tales of its members which fought in the wars of 1864, 1866 and 1870/71. According to the preface only 524 copies were printed, one for each veteran of these wars still alive in 1914. It’s not in any library catalogue so I suppose the one I have here might easily be the only one remaining and it’s easy to tell why. It was very cheaply made. The binding has rotted away and the whole thing is falling to pieces. What astounds me about these stories is their honesty. They lack a lot of the patriotic “With God for King and Fatherland” pathos which can be found in most period reports and writings. It’s clear that no one censored or proof read anything. The language is sometimes crude and the writing style is naive. The veterans wrote for their comrades. There was just no need to change anything. Facettes of the wars which you don’t find in the “popular” histories. Blood, Gore, cowardice, friendly fire, the harsh treatment of civilians, war against partisans. 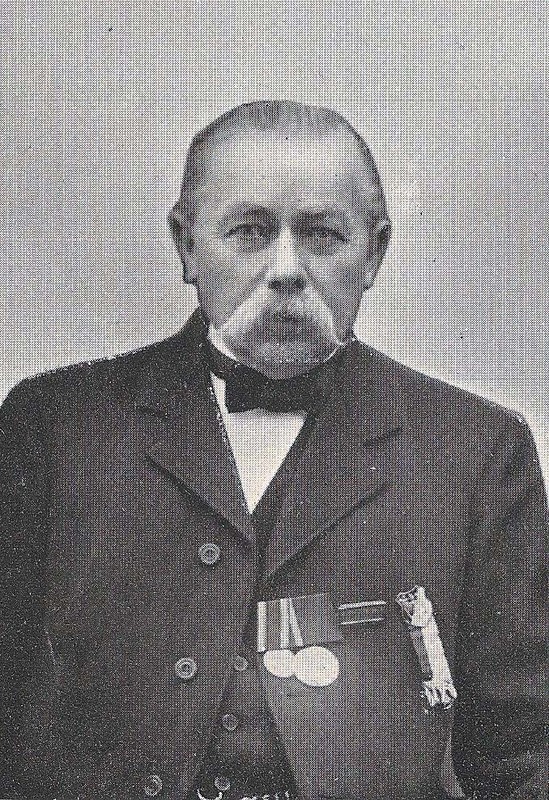 Hermann Anhuf in 1914 wearing his 1870/71 campaign medal and the 1897 centenary medal. 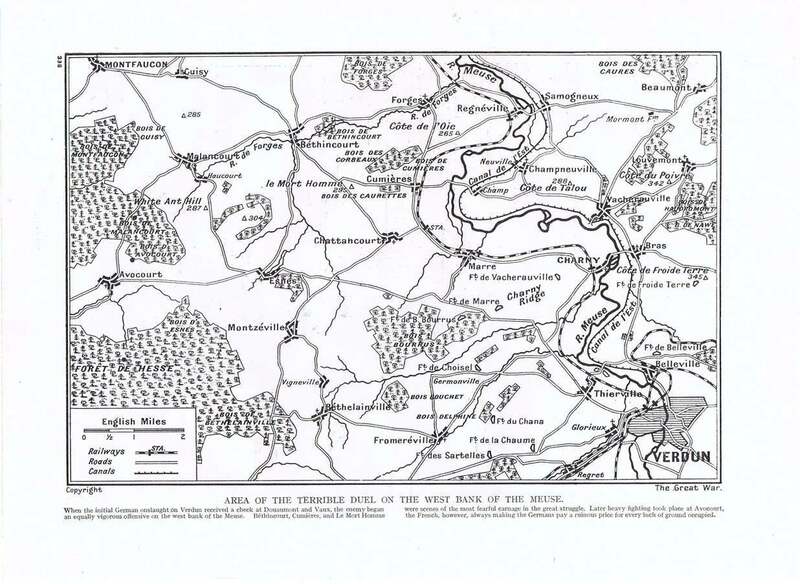 1870/71 – War against France / Battles and Sieges: (20. Inf.-Div., X. Armeekorps) 16.8.1870: Vionville-Mars la Tour, 18.8.1870: Gravelotte-St.Privat, 19.8.-27.10.1870: Siege of Metz, 23.9.1870 La Maxe, 27.9.1870: Bellevue & Franclonchamp, 7.10.1870: Bellevue, 3. u. 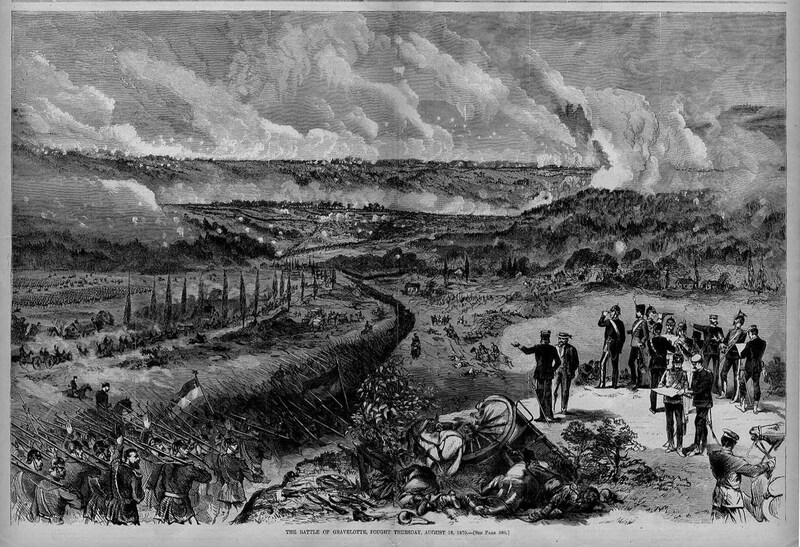 4.12.1870: Orléans (II. Batallion), 11.12.1870: Swequeu Château u. Mortais (II. Batallion), 15.12.1870: Vendôme, 16.12.1870: Vendôme, Tuilleries & Courtiras (II. Batallion), 17.12.1870: Epuisay (I. Batallion), 20.12.1870: Monnaie (I. u. F.), 28.u.29.12.1870 Château Renault, 31.12.1870: Vendôme, 31.12.1870: Danzé (9th and 12th company only), 1.1.1871: Azay (I. ), 4.1.1871: Courtiras (II. Batallion), 6.1.1871: Azay-Mazange (I. and II. Batallion), 6.1.1871: Montoire-Les Roches, 9.1.1871: Chahaignes & Brives, 12.1.1871: Le Mans. “When the war started I was serving with 12th coy of Infanterie-Regiment 17. We crossed the border into France in August as part of II. 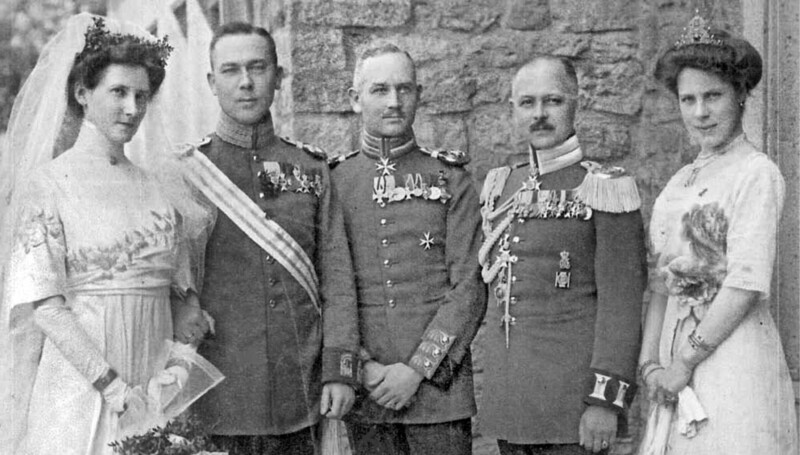 Armee, which was commanded by Prince Frederic Karl. On the 8th of August we left our luggage and backpacks behind to able to march faster, each man only keeping his 80 cartridges and the “Iron Ration”. The weather was hot but no one was allowed to drink! All wells were guarded by provosts as there were rumors that the french had poisoned them. On the 16th of August we marched towards the sound of the guns. 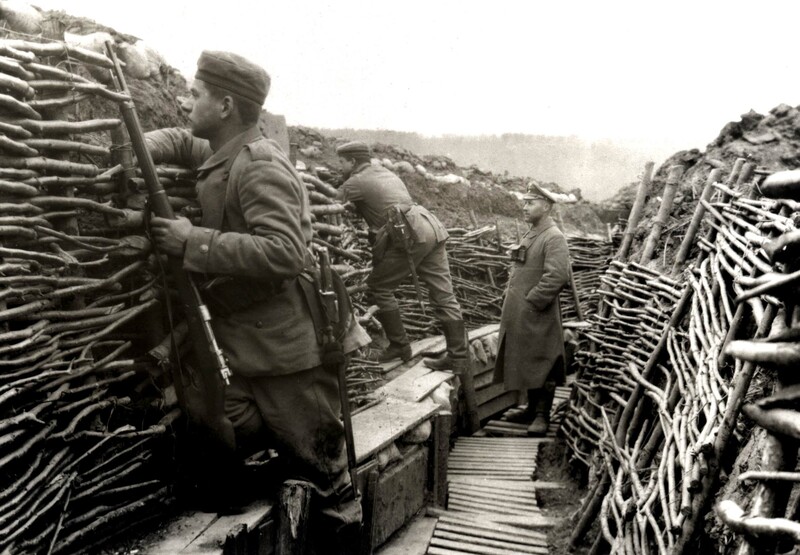 On the 18th, near the village of St. Privat we were sent into action in support of the Guards. 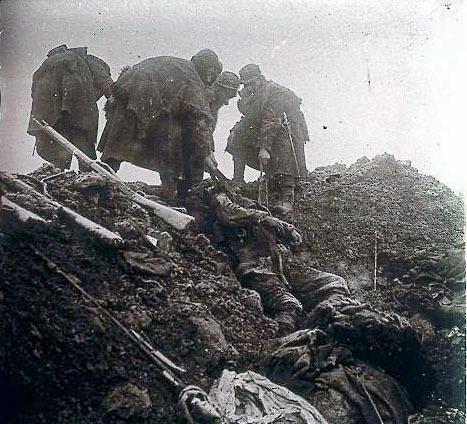 The enemy kept up a murderous fire and the Guards suffered severe losses, dead and maimed guardsmen lying everywhere. It was a ghastly sight. I heard an officer calling “Forward now men of the 17th! On them! Charge!” and forward we charged towards the French. By then the whole village of St. Privat, including the church, was burning fiercely. 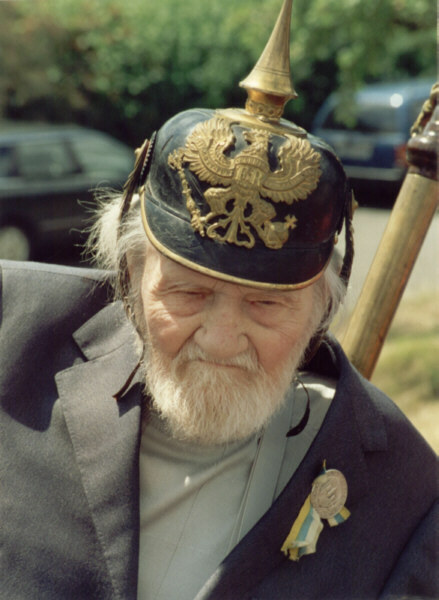 Our Sergeant was hoping to get the Iron Cross and tried to lead our section into the attack on the left of the village where there was a huge open field, with no cover at all. When our Hauptmann noticed that he called out “Sergeant Albers, stop at once or I will have the men open fire on you!” So we rejoined the company very shortly afterwards. On the 19th of August I noticed a small crowd of civilians and soldiers standing in a hollow close to our camp. I went to join them as I was curious about what was happening there. There were two women, about 30 years old and with their hands bound on their backs lying on the ground. Our lads were beating them with rifle butts. They were getting punished as they had been caught in the night after the battle when they were plundering some our wounded that were left lying on the field. One had even cut off the ring finger of a wounded soldier get his marriage ring. The other had mutilated the corpse of one of our officers. A while after the beating we shot them both. 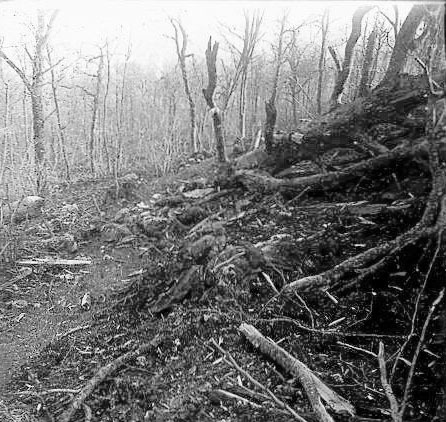 On the 20th we marched through a ravine near Metz which was under siege. On the 27th we took part in the skirmish near La Maxe. During a rest near Les Grandes we were cleaning our rifles when our Hauptmann arrived and ordered us to reassemble them as the enemy was advancing on us. We were encamped in a large farmyard. Two platoons of our company were ordered to take defensive positions behind a wall while the third platoon took position outside the yard. Soon we could clearly see the french soldiers and opened fire. We fired until we had spent all of our ammunition, but luckily an ammunition cart arrived which enabled us to continue the fight. Our rifle barrels were red hot and it was getting hard to hold and aim the rifle at all. There were so many good targets that our Hauptmann ignored the order to leave the position and soon we began to get shelled by our own artillery. I can not put any blame on the gunners as they thought our position abandoned. The first shell missed us by about 50 meters. The next one went into some stables on our right. 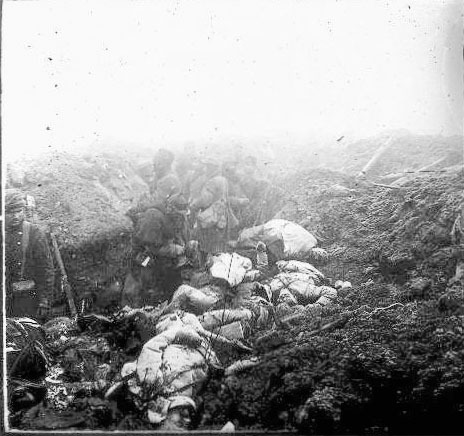 The third shell detonated right between the men of our platoon, killing two comrades and wounding another twelve. This article was inspired by and is dedicated to Herr Paul Reed (Twitter @sommecourt), who tweeted images of von Gillhaußens Tomb in Berlin a short while ago. I was intrigued what could be found about the man resting below it. 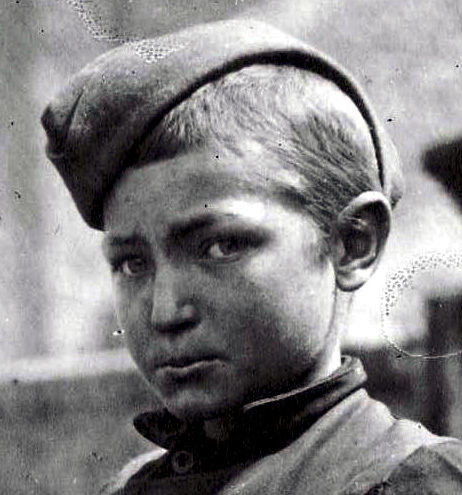 After visiting the “Educational Institue for Boys” in Taubold, the Grammar school at Ernestin and the Bensberg Cadet School he joined the army in October 1889. Von Gillhaußen was not only an officer, he also spent a lot of time pursuing the arts. He liked to paint, found the time to study music at the private academy of Gottfried Adolf Stierlin in Münster (Westphalia) and wrote patriotic songs and poems. Because of a chance meeting in the Harz Mountains on the 16th of July 1912, he is even became friends with Franz Kafka, who mentions Gillhaußen in his “Travel Diaries“. Gillhaussen’s lasting fame was no result of his artistic works or military skills, it originates from a letter he sent to the Crown Prince of Prussia on the 3rd of August 1914, three days after the declaration of war. 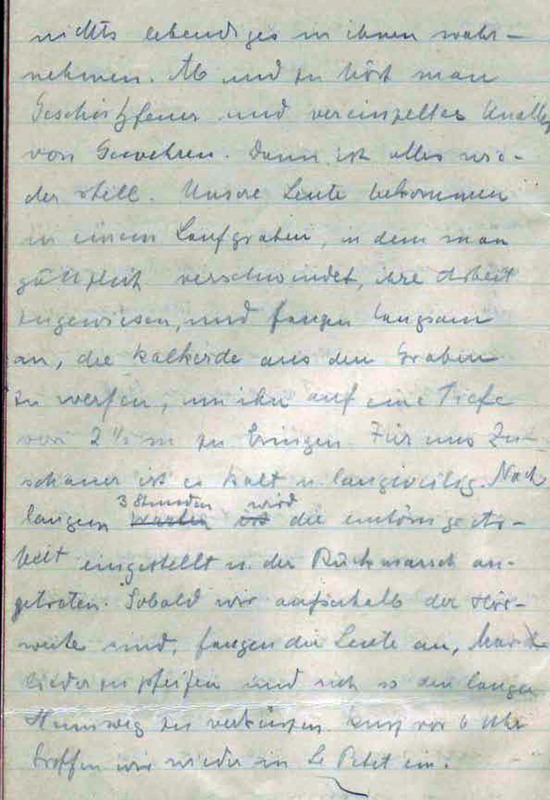 What I saw in the night of the 3rd of August 1914, written at 2am. How will the war progress? It will not be over soon. It won’t be against one enemy only. Many enemies pass my vision and I see Belgium inflicting terrible wounds with boundless savagery. In the west I see France, beaten and raped by England, an England that will become our most significant enemy. I see us fighting in Africa, but it’s white people who try to annihilate us. Italy hurries to side with England, Russia and France. On the Balkans it’s Serbia and Romania. I try to struggle against Romania, but it stays. I can not believe it, but it stays. Russia causes trouble, but it will succumb even if aided by Japan. Just like England is aided by America. I see Roosevelt offering bread and wine to England’s King. He is clapping him on the back and presents the King with money, a powder horn, a dagger and lead bullets. Roosevelt seemed to be our friend!?! The War will be terrible and will last for many years. More enemies appear in countries all over the world and they hurry to join the war on England’s side. All people of the Earth are swallowed by the war. I see war from North-America to Australia, from Serbia to Japan up to the Cape of Good Hope. England is everywhere. It is hiding in the governments of our enemies and rules brutally and egoistically. All bow to England, there is no exception. Is that possible? Germany is breaking, 1918 will be worst. It seems the war will end in 1920, or is it a ceasefire only? It seems like it. How long will it last? Will the Kaiser live to see 1921? I see the Kaiser, wearing his crown and ermine cape, sawing off the legs of his throne. His ermine cape looses color, it turns grey and slowly crumbles into dust. His crown shrinks, gets smaller up until the Kaiser himself melts away. It seems to me as if England receives its death thrust in Egypt and India. Germany is terribly weakened and it will take 30 years until it recovers. Russia awakens and fights America for the possession of the future. God be with us! The letter was sealed and handed over to Prince Frederic William of Prussia who opened it in autumn 1915 and then sent it back to Gillhaußen. 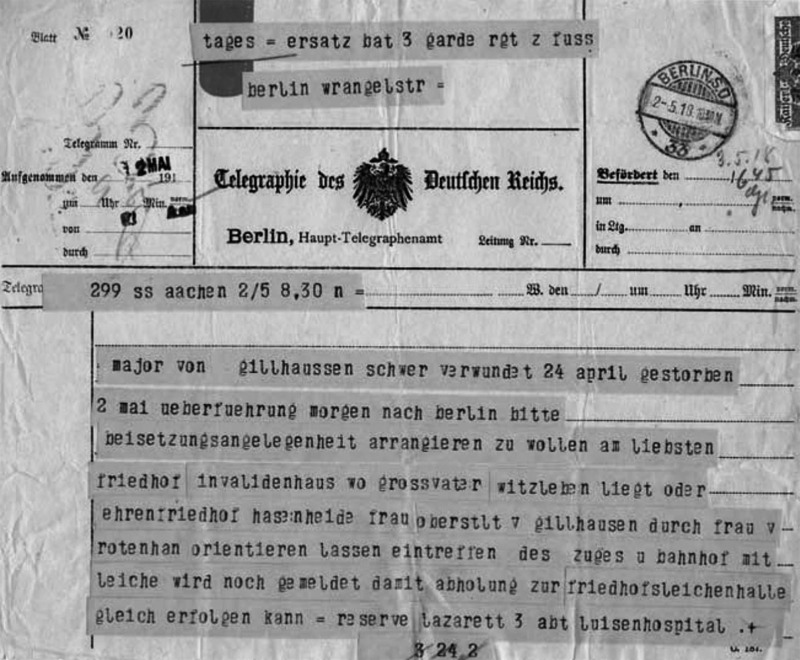 After Gillhaußens death the letter was rediscovered by the executor of his last will and testament. In May Gillhaußens elder brother (Oberst Curt von Gillhaußen) published it for the family. By indiscretion copies of the publication found their way to America where they were published in the late 1918. 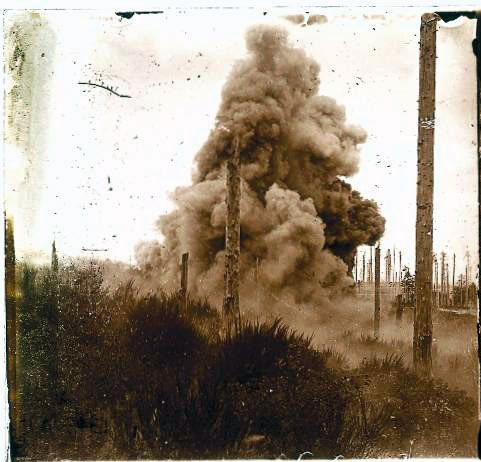 29/08/1914 Skirmishes at St. Quentin, Colonfay. Severly wounded by Shrapnel (Head and right shoulder), rifle bullet injures four fingers of the right hand. Most of the above information has been collected by Major a.D. von Eberhardt (Association of Officers of the former 3rd Regiment of Guards). Von Gillhaußen was not lucky. All together he only spent 33 days on the Western Front. 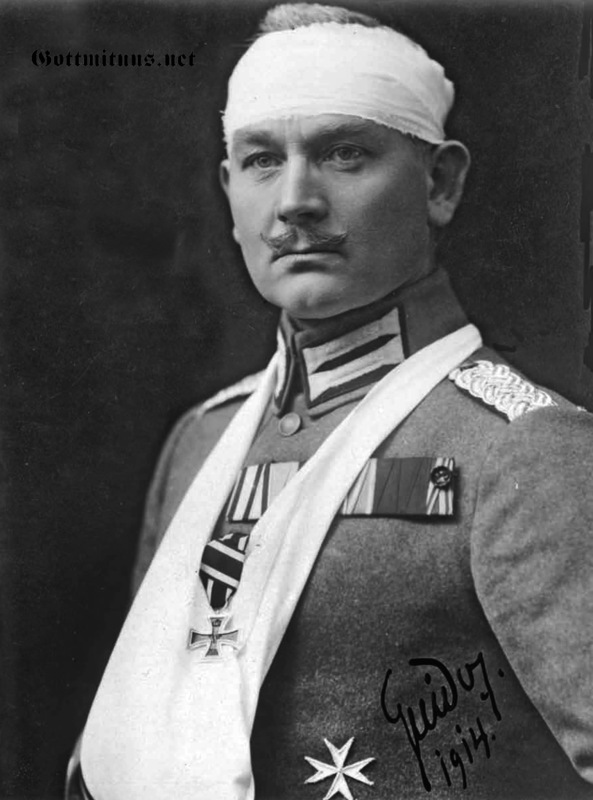 In 1914 he had been wounded after only 19 days of service. In 1918 it took only 14 days. According to von Eberhardt, Gillhaußen was transported to Feldlazarett 16 and from there (on the 28th of April) into the military hospital (Luisenhospital) in Aachen. The mustard gas had indeed infected his wounds, so his left leg had to be amputated. All further treatments were to no avail. 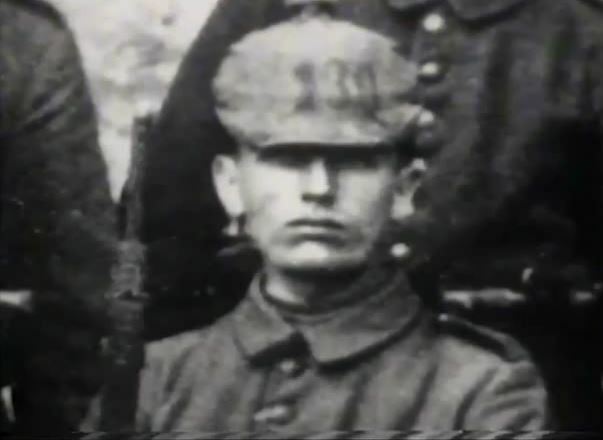 Gillhaußen died on the 2nd of May 1918 at 0800 in the morning. 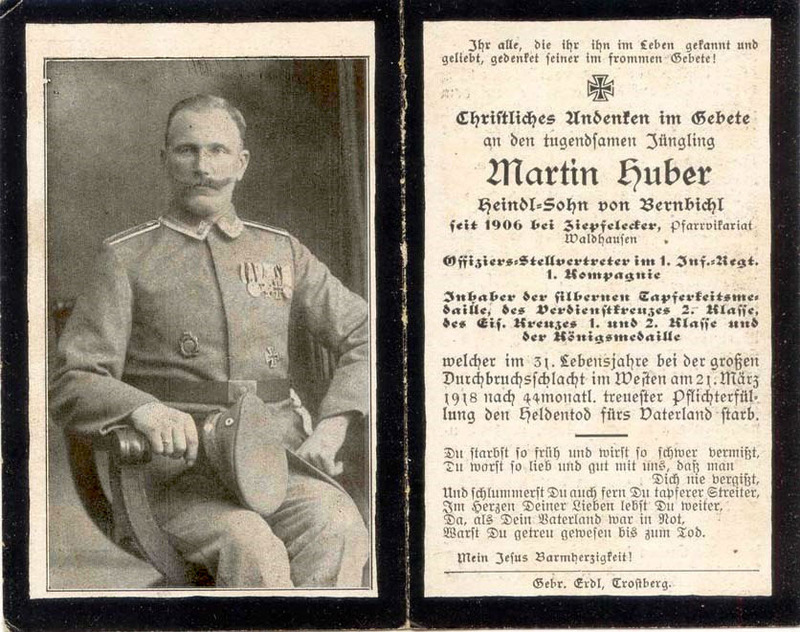 His body was brought to Berlin and was buried on the “Invalidenfriedhof“. 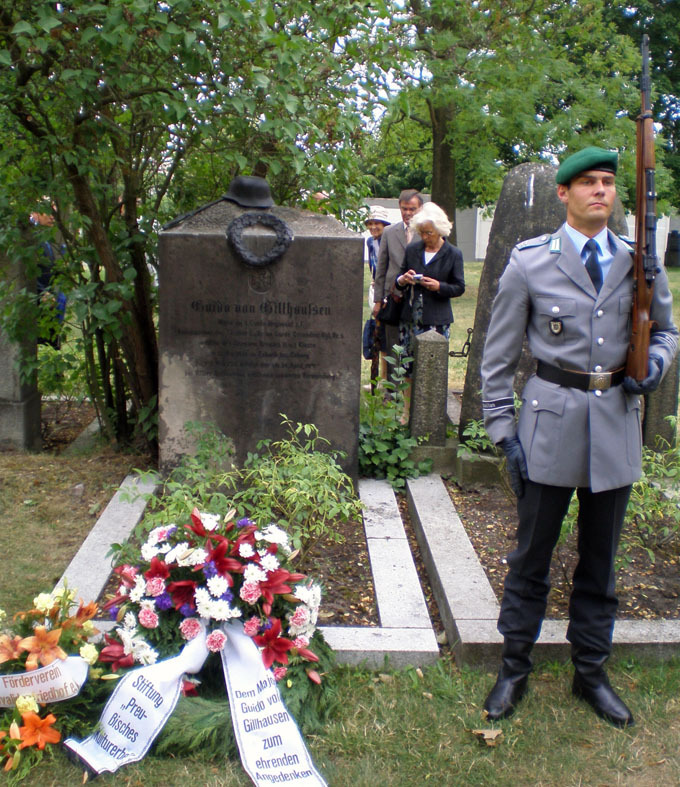 The highly decorative gravestone survived World War 2 and the construction of the Berlin Wall and was restored by the association “friends of the Invalidenfriedhof” in 2008. As Gillhaußen was a Knight of the Order of St. John his name is also remembered in the stained windows of the Church of the Holy Mother in Slonsk (Poland), a former Church of the Order of St. John (Window 1, behind the altar). 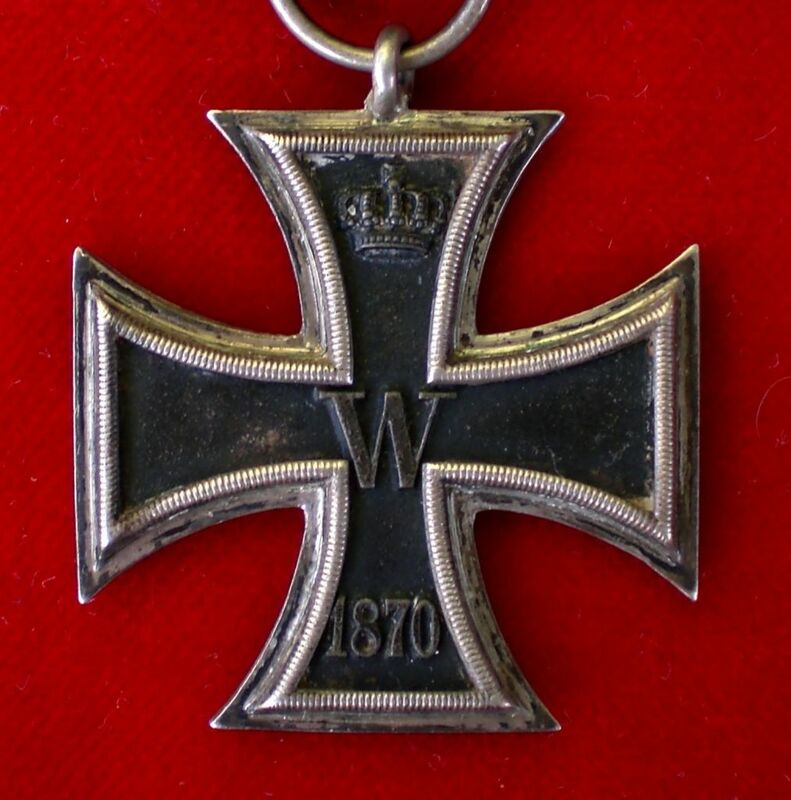 Iron Cross 2nd and 1st Class, Prussian Order of the Red Eagle 4th Class, Prussian Order of the Crown 4th Class, Saxon-Ernestinian House Order (Knights Cross, 1st Class with Swords), Hessian Order of Philip the Magnanimous (Knights Cross 2nd Class), Saxon Arts and Science Medal in Silver, Austrian Order of Franz-Joseph, Romanian Order of the Star, Prussian Order of St. John (Knights Cross), Lippe War Merit Cross for Combatants. 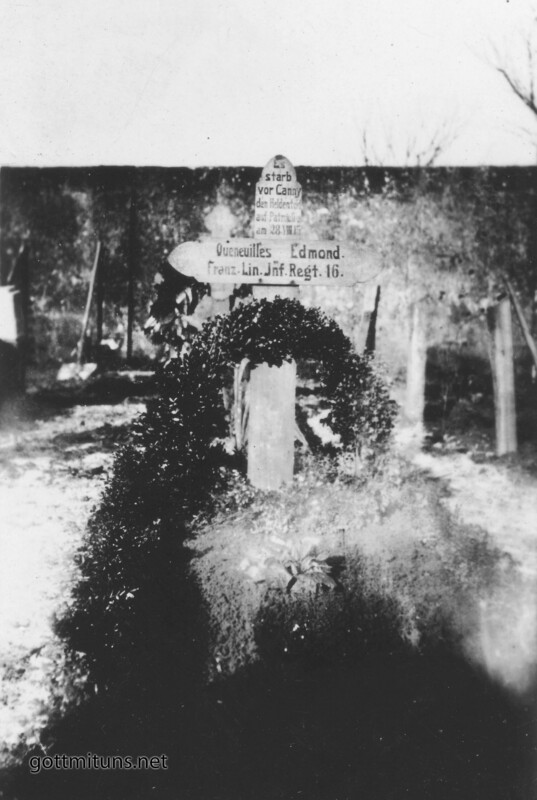 Hauptmann Leo von Gillhaußen (Guidos youngest brother), was killed on the 6th of November 1918 south-west of La Croix-Hautrage by shellfire. He is buried at Hautrage near Mons. 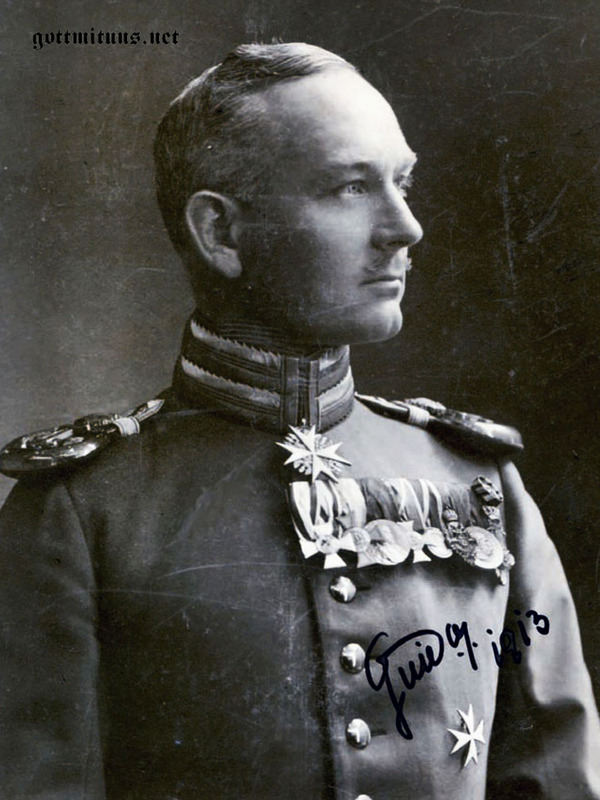 Oberst Curt von Gillhaußen (Guidos elder brother), served as adjutant to His Royal Highness Edward, Duke of Sachse-Coburg and Gotha, survived the war and passed away in 1956. 1. 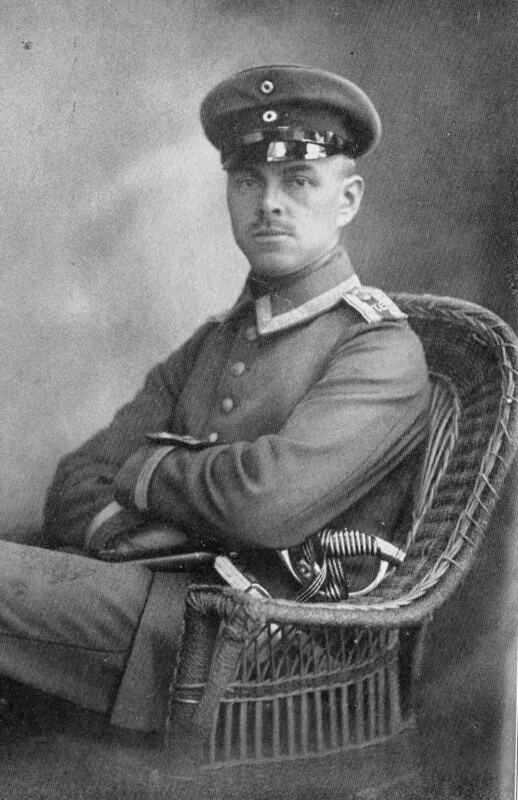 Major a. D. von Eberhardt (Schriftleiter der „Mitteilungen des Vereins der Offiziere des ehemaligen 3. 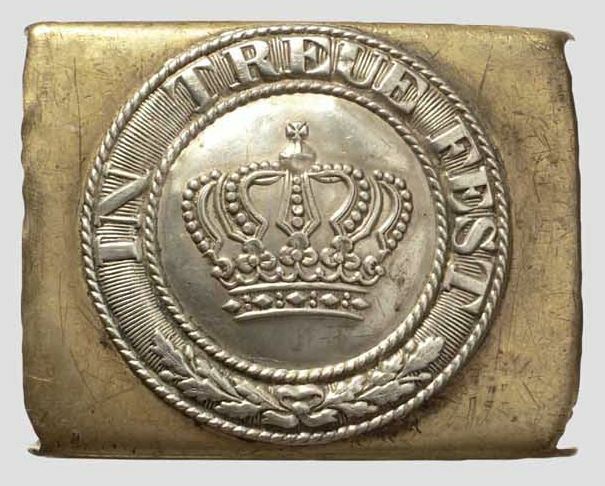 Garde Regiments zu Fuß e.V.“) Archiv 3. Garde Regiment z. F.
Should you ever be able to visit Berlin, make sure you take some time to visit the beautiful memorial of the 5th Guard Grenadier Regiment in the Stabholz Garden in Spandau. 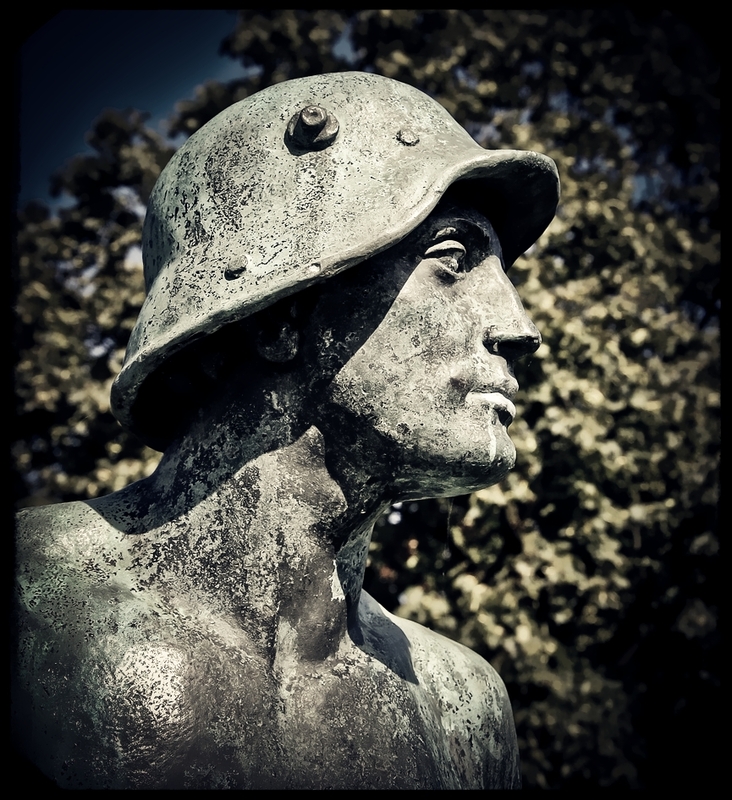 When war broke out in 1914, the officers and soldiers of the Regiment vowed that they would erect an appropriate monument for the brothers in arms that would be killed in the battles to come. In May 1922 the monument was unveiled. 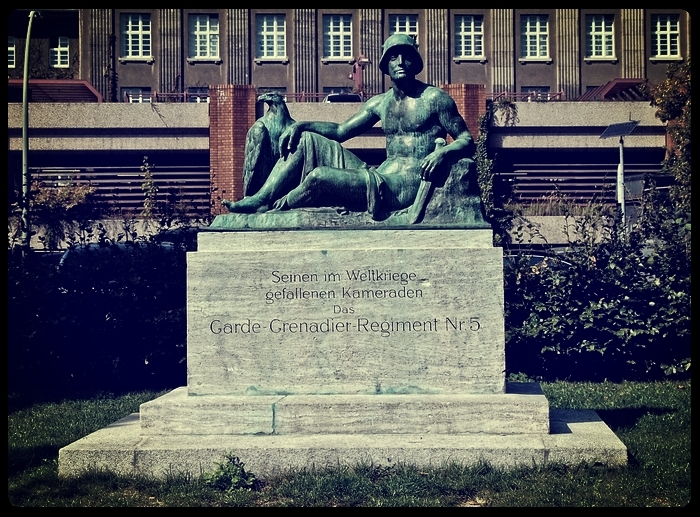 The bronze statue is called “Die Wacht” (The Guard) and was designed by August Schreitmüller (1871-1958). 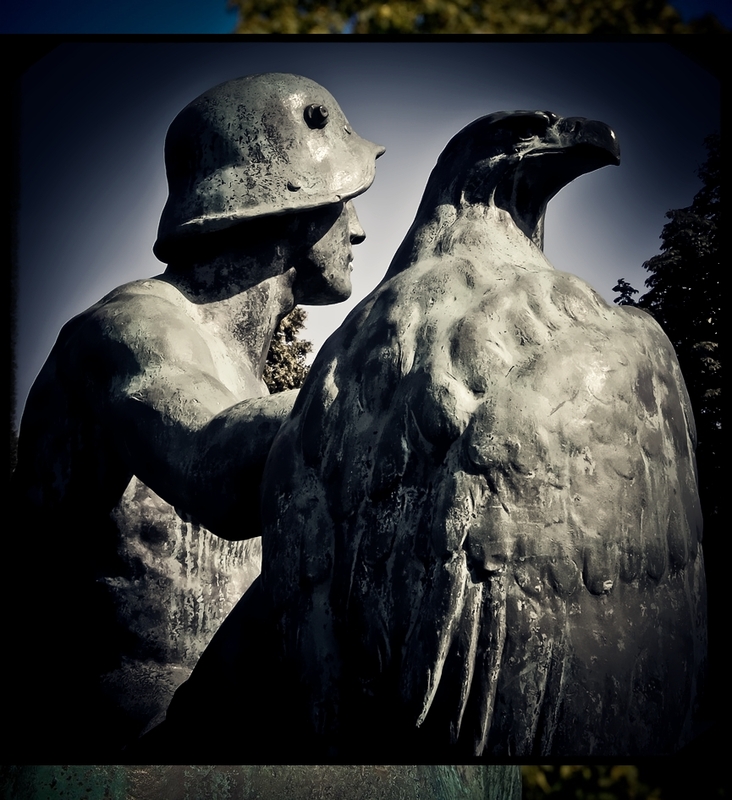 It shows a soldier armed with a short sword, wearing only a steel helmet and a loincloth and an eagle sitting at his feet. The memorial is dedicated to the 4122 casualties the Regiment suffered during the Great War. Joachim Ludewig, Rückzug: The German Retreat from France, 1944. The Allied invasion of Normandy on June 6, 1944, marked a critical turning point in the European theatre of World War II. The massive landing on France’s coast had been meticulously planned for three years, and the Allies anticipated a quick and decisive defeat of the German forces. Many of the planners were surprised, however, by the length of time it ultimately took to defeat the Germans. While much has been written about D-day, very little has been written about the crucial period from August to September, immediately after the invasion. 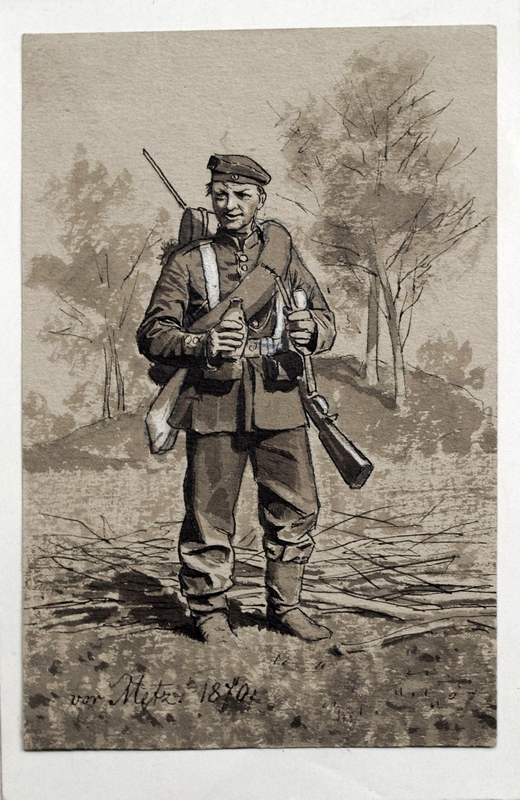 In Rückzug, Joachim Ludewig draws on military records from both sides to show that a quick defeat of the Germans was hindered by excessive caution and a lack of strategic boldness on the part of the Allies, as well as by the Germans’ tactical skill and energy. This intriguing study, translated from German, not only examines a significant and often overlooked phase of the war, but also offers a valuable account of the conflict from the perspective of the German forces. Between June 6 and the first week of September 1944, the western Allies bludgeoned the Wehrmacht and Waffen SS units tasked by Adolf Hitler to defend northwestern Europe. The consequences of this battering were grievous for the fighting men of both sides. 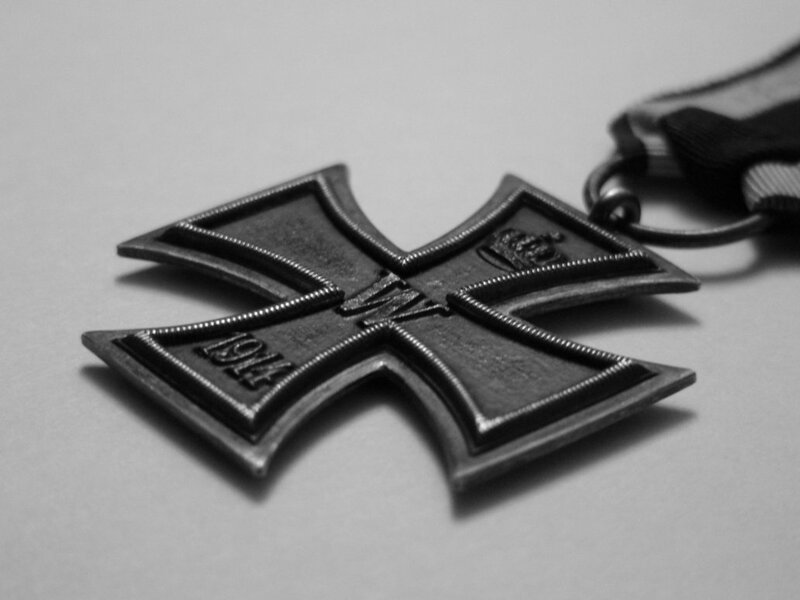 Yet because the Allies possessed not only brave, well trained, and aggressive soldiers, but also absolute control of the airspace above the battlefields and a very substantial preponderance of weapons and motorized vehicles, the German units engaged in the fighting suffered far greater losses, both literally and proportionally, than their Allied counterparts. And when the Allied forces neutralized the German coastal defenses and emerged into the French countryside in early August, the Germans could muster but little in the way of a cohesive defensive front. As the Germans drew nearer to their homeland, however, they managed to patch together a more formidable defensive line to temporarily blunt the Allied assault. The result was eight more months of warfare in western Europe, and the loss of many more thousands of human lives. How did this turn of events come to pass? That is the question asked and answered in Joachim Ludewig’s Rückzug: The German Retreat from France, 1944. The University Press of Kentucky has done a great service to those with a serious interest in the Second World War by publishing Ludewig’s work in English. The book is scrupulously researched, not only in the pertinent German military records, but also in the manifold sources that tell the official side of the Allied story. The result is an excellent historical study of a course of events in need of explication. Author Ludewig identifies a dozen factors that enhanced the ability of the German armed forces to cobble together an effective defense in the autumn of 1944. The original German edition was first published by the MGFA (Military History Research Institute of the German Armed Forces) in 1994 and it was about time that this valuable work was translated into English. As all publication of the MGFA I can heartily recommend it. Be warned that is not a “popular” history book and no “easy reading”. Everyone not scared off by this, will find the most detailed and comprehensive account of the Wehrmacht’s retreat from France published so far. The author, Joachim Ludewig is an officer in the German Army Reserve. He currently serves as a civil servant in the German Federal Ministry of Food, Agriculture and Consumer Protection. He lives in Bonn, Germany. About half a year ago I posted this photo on Twitter and so far forgot about it. Today it turned up again and I remembered that I had planned to write a small article about it. Its one of my favoured images. This powerful photo shows two young boys. One is clad in what I think is parts of a military uniform (boots, forage cap, uniform trousers), the other seems to have been supplied with an old pair of german army boots. 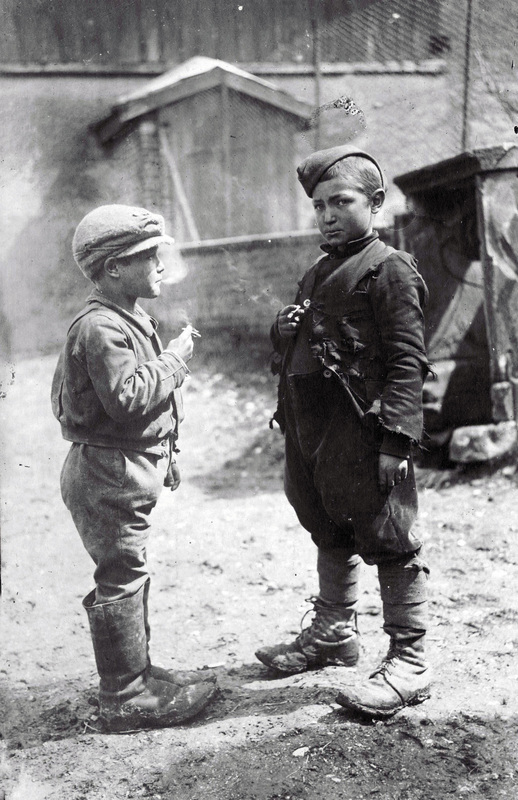 The original caption reads “Louis (right), our youngest prisoner, POW “Conscrits” Labour Company 14″ No date or place is given. As the other photos of the series show places like Ripont, Manre, Rouvroy Challerange I am quite sure the photo was taken at the Marne, Champagne. Uniforms and equipment of the german soldiers on the photos make a date of mid-end 1917 my closest guess. In the past there was some discussion that “Louis” is a civilian forced to work for the german army. I am quite sure that he was indeed taken prisoner with adult french soldiers. 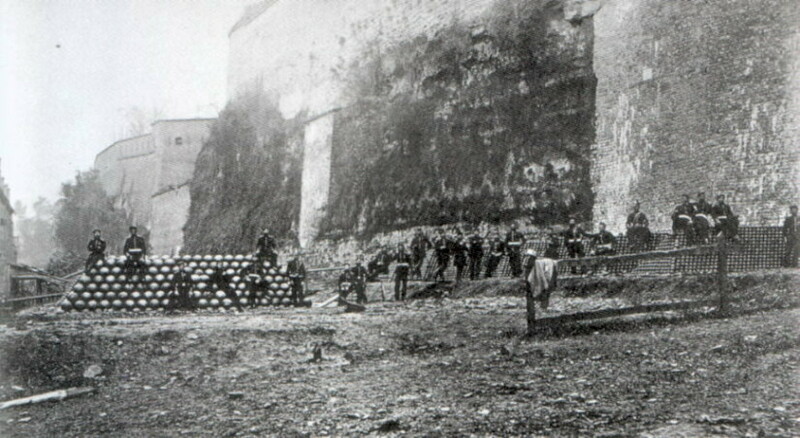 POW labour companies were made up of military prisoners of war and the other photos show french soldiers, some wearing a mix of civilian and army clothing and fully uniformed french POWs. Anyway, this image is intriguing. Look at Louis face, his eyes look old don’t you think? Who was he, what became of him? We will probably never know.